What Has Four Legs But Cannot Stand? A workbench with no top! But that's next on the list now that I've finished the joinery on the legs. 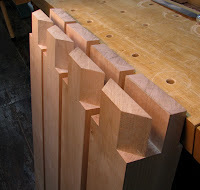 By the time I was working on the fourth leg I had managed to find a good technique for getting all faces square and flat. I had been using floats, which worked great, but they left a rather rough surface. By using a chisel, the surfaces are smooth, which will help them slide into the mortises more easily. 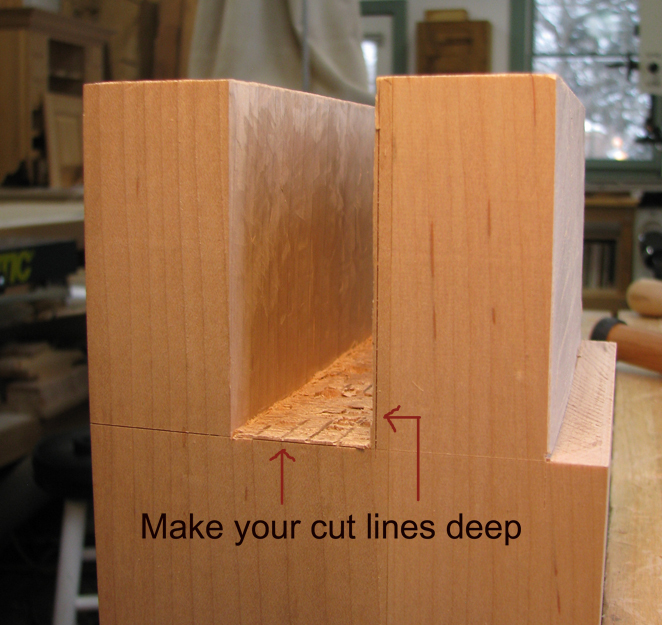 When squaring up the surfaces, I found that if you make your cut lines really deep, saw close to the line, then pare to the line all around the edges with a chisel, it's easier to remove everything in between. 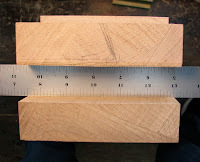 I used a straightedge to check my progress. 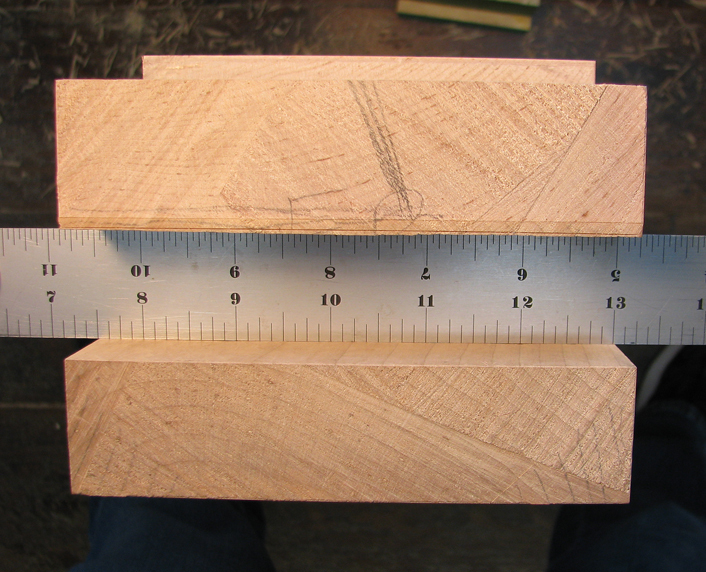 If you hold both ends of the straightedge and try to rock it like a seesaw, it will reveal high spots. 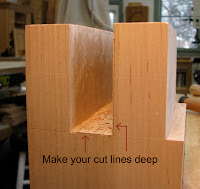 If it doesn't rock, there are no gaps, and the straightedge rests on the cut lines on both sides, the surface is flat. I worked on these legs for a long time to get them as square as possible. I believe I averaged about eight hours per leg. If only I were able to be that focused at my job, I'd be a rich woman. I used a router to clean up the outside cheeks. 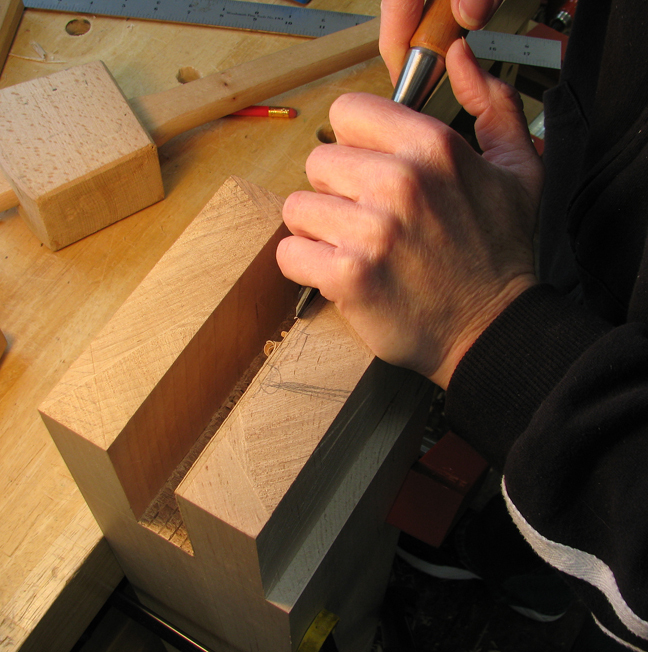 By sliding two legs together end-for-end, the router was supported on both sides. 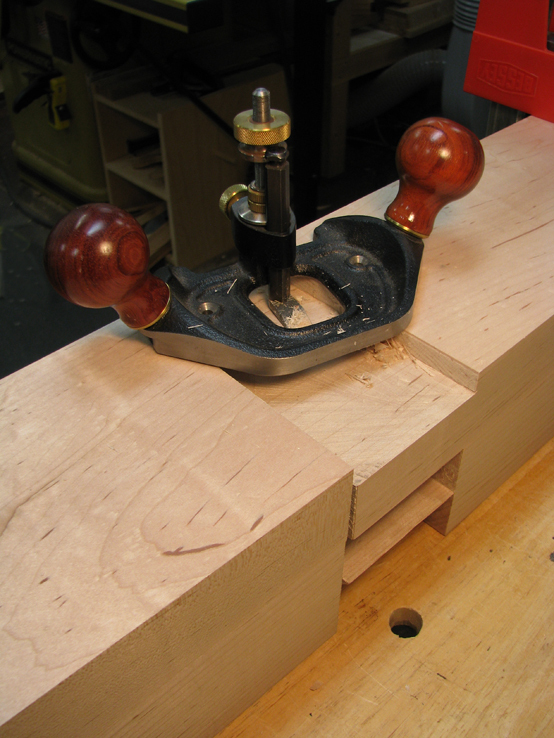 Using the router was a welcome break from all that chiseling.